In January, Water Marquee is going to be getting its biggest change since it started over four years ago. The change includes a complete new look and a complete re-write of both the front and back-end code base. The new version of Water Marquee has a completely new design that is cleaner and more modern. Gone is the red background you saw when watermarking your photos, replaced by a more conventional dark background, which will help to highlight your photos while you add your watermarks. You'll also have more room in the editing window, so you can position your watermark with a higher degree of precision. Users of both the free version of Water Marquee, and Water Marquee Pro users, will see a lot of new features. New fonts. Water Marquee users currently have 12 fonts they can use. In the new version of Water Marquee, that jumps to 23 for users of the free version, and over 60 for Pro users. Bigger photos. 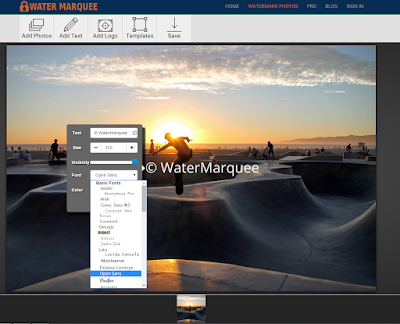 Users of the free version of Water Marquee will now be able to watermark photos up to 3 MB in size, up from the current 1 MB limit. Pro users will continue to be able to watermark images of any size. Multiple watermarks. 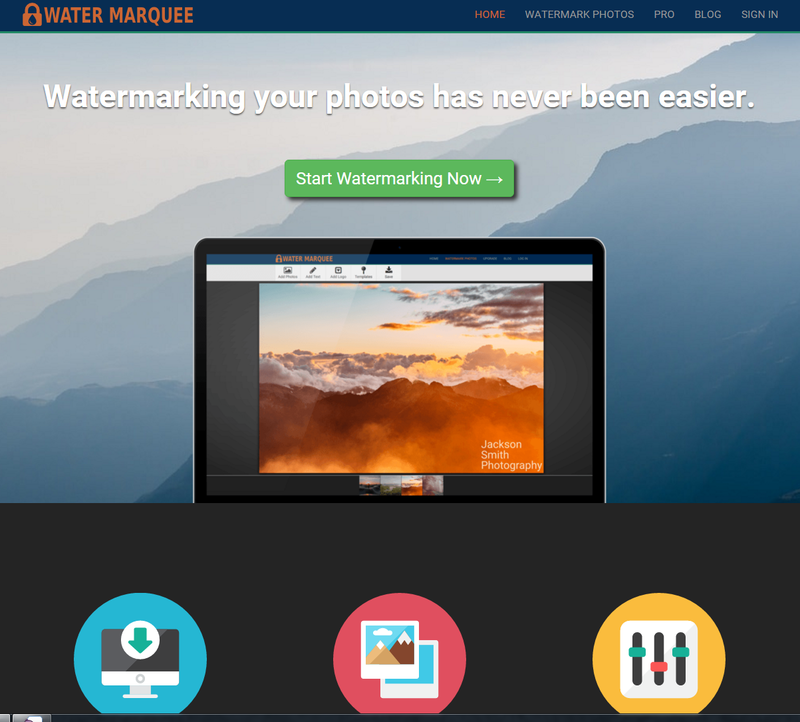 Currently, Water Marquee users are limited to 1 watermark, either text or logo, per photo. The new version allows you to add an unlimited number of either type of watermark, allowing for more creative and interesting watermarks. Templates. The new version of Water Marquee will offer watermark templates, which are pre-made watermarks that will help you find the watermark style that works best for you. In addition, the new version of Water Marquee is much faster, both for free and Pro users. The current version of Water Marquee is $5 per month, but the new version is $5 for life. That means that you pay $5 one time, and then can use Water Marquee Pro forever. The new version of Water Marquee goes live in January. If you'd like to check it out before then, you can head over to the Beta version. We'd love to hear your feedback!